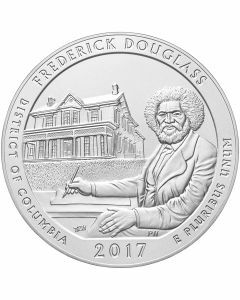 Containing of five ounces of pure Silver, the long-awaited 2017 coin releases of the America the Beautiful series is now available at SD Bullion. 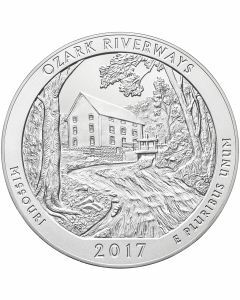 Featuring the usual lineup of 5 coins that portray various historical sites, scenes, and national parks across several states, these silver coins highlight the prides of America, in beautiful eye-catching detail. 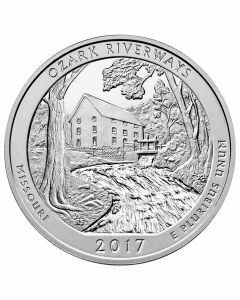 Authorized by Congress in 2008, the America’s Beautiful National Parks Quarter Dollar Coin Act introduced the America the Beautiful series of silver coins. The first coin in this series was released in 2010, and instantly captured the imagination of collectors and the attention of investors. Ever since, each subsequent released has enjoyed a feverish anticipation in the precious metals market. The United States Mint is known for many famed series of precious metals products. Over two centuries of its existence and several precious metals products later, the quality of products minted by the US Mint is still unparalleled and coveted by all. As each coin is struck using 0.999 pure silver weighing five ounces, they are larger than the silver coins usually seen in the precious metals market. However, this large surface area does provide ample space for the artist to paint imagery with such detail that it displays an awe-inspiring design, one that is admired by anyone who beholds it. Moreover, every coin bears an official face value of 25 cents (0.25 USD) – fully backed by the United States government. 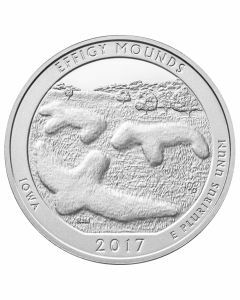 2017’s lineup of America the Beautiful (ATB) coins feature 5 coins in total – Effigy Mounds (Iowa), Frederick Douglass (Columbia), Ozark Riverways (Missouri), Ellis Island (New Jersey), and George Rogers Clark (Indiana). Although the designs on the reverses of the America the Beautiful silver coins display unique images, the obverses feature the familiar left-profile portrayal of President George Washington. In fact, this design, created in 1932 for the 25-cent coin, is still used for United States Quarter Dollar coins to this very day. Brilliant, annually-changing designs have given every coin in the America the Beautiful series a unique personality. Hence, it is exceedingly popular amongst the collector community, which is always on the lookout for precious metals products with beautiful and unique designs. Moreover, the 5 ounces of pure silver in each of these coins make them an excellent addition to precious metals portfolios. Their approval for use in precious metals IRAs further augments their investment value – ensuring that you can stash away tangible assets for your retirement.